Diamond and 18kt. 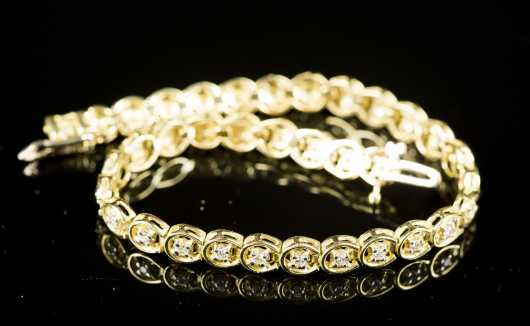 Yellow Gold Tennis Bracelet, marked. 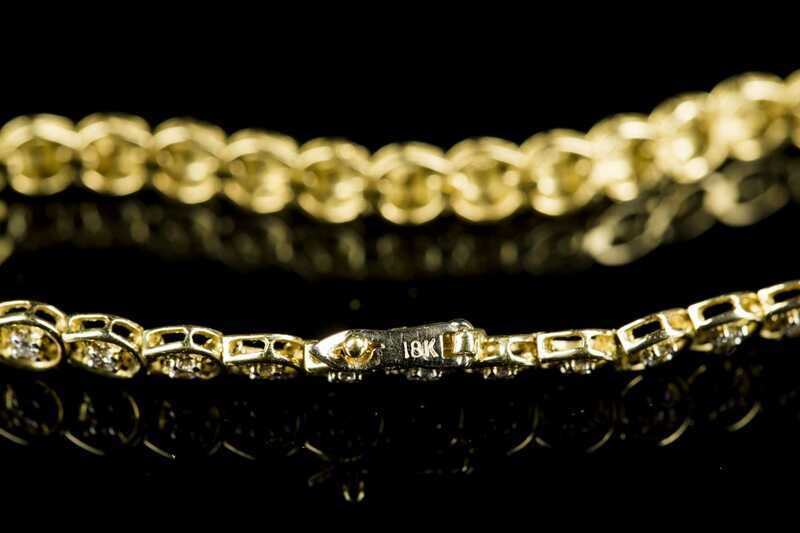 Sideways horseshoe pattern with diamonds centered, marked on clasp safety 18kt. Clasp safety seems loose but the clasp itself is in working condition. Length measures 7" and the weight is 10.8g.